Installation of Central Oregon Community College’s (COCC) half megawatt solar array at the school’s Redmond campus is now complete and went live today (Thursday, Oct. 27). The College and its partners celebrated the milestone with an event that included remarks from US Senator Ron Wyden and Redmond Mayor George Endicott. The array, funded through a power purchase agreement with Sunlight Solar Energy and IGS Solar, and with grants from Energy Trust of Oregon and Pacific Power’s Blue Sky Energy Program, comes 10 years following approval of a student referendum to increase student fees to purchase clean energy from Blue Sky and increase awareness about sustainable energy in the community. The new solar array underscores COCC’s efforts to increase sustainability on its campuses and is expected to meet approximately 90 percent of the annual energy needs for the Redmond campus. Four newly-installed kiosks at the school will display real-time solar energy generation, highlighting equivalent environmental benefits such as gallons of gasoline saved, trees planted, and pounds of carbon dioxide emissions reduced. The kiosks will serve as a learning tool for students enrolled in clean energy education programs and points of interest for public tours of the facility. “Central Oregon Community College continues to be a leader in sustainability and the clean energy movement,” said Dr. Shirley I. Metcalf, president of COCC. “Our students were the first in the nation to vote to fund purchasing renewable energy, and we are now proud to be operating one of the largest solar arrays in the state. It is a commitment of our Board and of our College to be good stewards of our resources,” she said. COCC’s half megawatt array was built on 3.19 acres and consists of 1,566 SolarWorld panels (manufactured in Hillsboro) and 15 SMA inverters (manufactured in Colorado). Paul Israel, president of Sunlight Solar Energy Inc. states, “It was important to us to utilize USA made products and local labor. Doing so ensures that this project benefits our economy in Oregon and nationally. 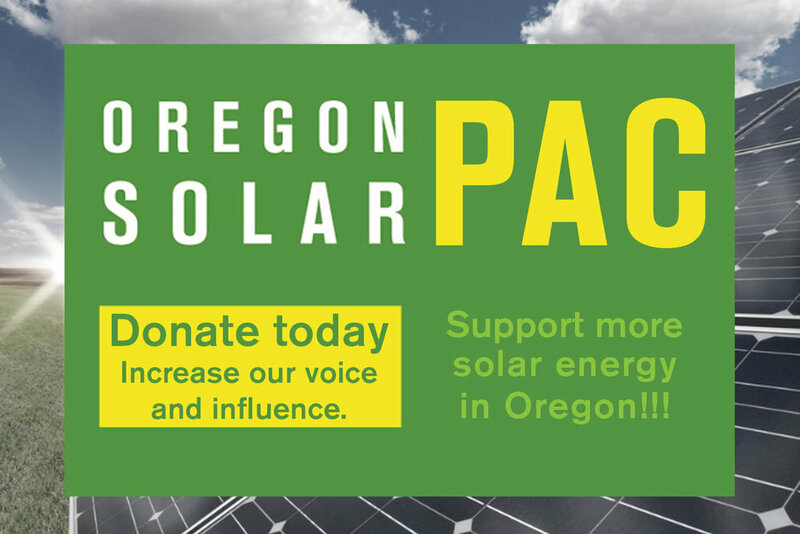 Sunlight Solar is proud to be part of a project that will benefit Oregon today and for generations to come.” The COCC project is the second large scale commercial project completed by Sunlight Solar this year in Central Oregon. The first was a 200 kW community solar farm for Central Electric Cooperative, completed in January. The solar array, which is located next to Building 3 in the northeast corner of the campus, went live during a public ceremony held on at 1 p.m. on Thursday, Oct. 27. Central Oregon Community College, the oldest two-year college in Oregon, provides comprehensive college services to the residents of its 10,000-square-mile district. The College's main campus is located on the western edge of Bend. The Redmond Campus is located 20 miles north on 25 acres near the Redmond Municipal Airport. For more information, call 541 383-7700 or visit cocc.edu. IGS Solar, a turn-key commercial and residential solar provider with over $100 million in solar assets under development, provides homes, businesses and communities with an opportunity to participate in creating a sustainable energy future with no upfront investments. As an affiliate of IGS Energy, IGS Solar is dedicated to delivering innovative solar energy solutions. For more information, call 866 801-9928 or visit IGSsolarpower.com. Connect with IGS Solar at linkedin.com/company/igs-solar. About Sunlight Solar Energy Inc.
Sunlight Solar Energy Inc. is a 25 year old local company specializing in the installation of residential and commercial solar electric systems with offices in Bend and Portland. The company is dedicated to educating its customers and empowering them to make intelligent buying decisions. For more information regarding Sunlight Solar Energy Inc. visit their website at www.sunlightsolar.com or call 541 322-1910. Energy Trust of Oregon is an independent nonprofit organization dedicated to helping utility customers benefit from saving energy and generating renewable power. Our services, cash incentives and energy solutions have helped participating customers of Portland General Electric, Pacific Power, NW Natural and Cascade Natural Gas save $2.3 billion on energy bills. Our work helps keep energy costs as low as possible, creates jobs and builds a sustainable energy future. Learn more at www.energytrust.org or call 1-866-368-7878.